I wanted to try the old patina look, so ordered some bronze paint ( with real bronze pieces) and some Tiffany green patina. I used spray putty to fill in most of the lines, and gave it a couple light sands. The end result wasn't quite as good as I was hoping for, but its a start. Looks good! 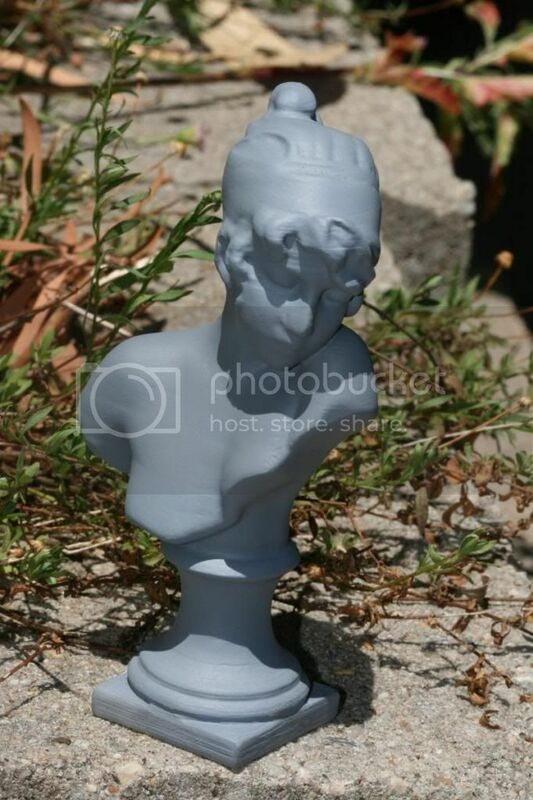 Sappho is the logo for the Artec 3D scanner, I think they scanned this statue. Not bad at all IMO. Looks great! that looks really good. Great effects on it makes it look 100 years old. Thanks guys. I'll try another one soon, and hopefully use a few more products to enhance the look. I'd like to try a full size Alexander the Great face, but I'll keep practising on smaller models for a while first. Especially statues like this will benefit because usually they have no tiny breakable features so you don't have to worry about some resolution lost by ''melting'' of the ABS. Hi, thanks for the suggestion. Yes I did do that on some of my other models, but I wanted to see how well the spray putty would work on a more detailed model. Previously I had only used it on larger flatter models that were easy to sand. On this model I had to mostly rely on the putty itself to fill in the "holes"
Next time I'll use the vapour bath. Unfortunatelly photos are not available any more.. 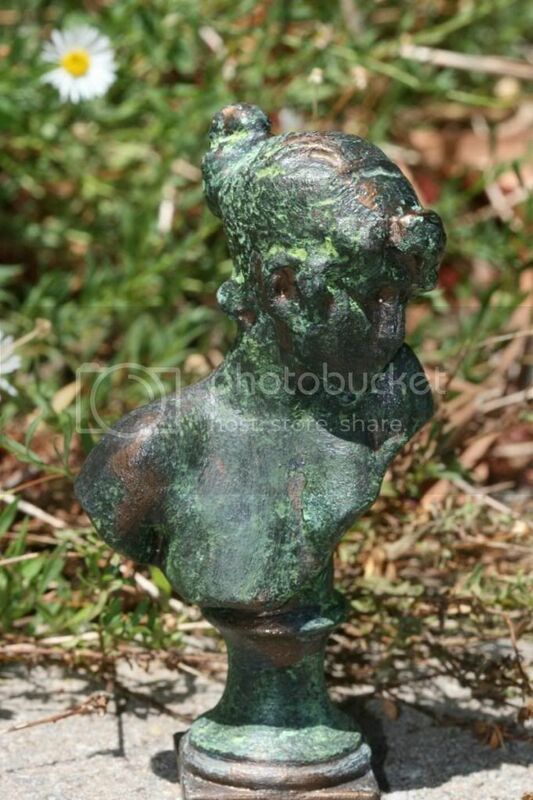 But here's the statues Artec has scanned. 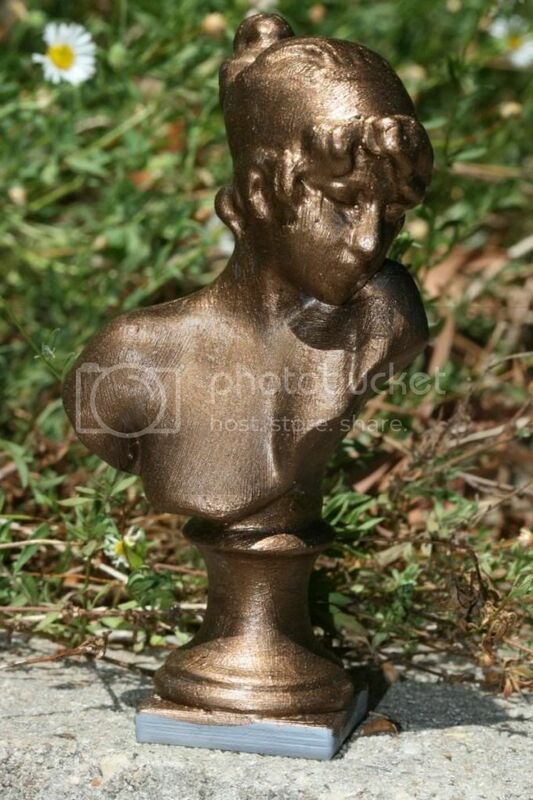 There are some bronze ones..